The implementation process takes ~6-8 weeks from the Kickoff with the iLab Implementation Associate through Go-Live. Prior to the official kickoff with iLab you will be spending time gathering information about your core that will be used during the implementation process. This information will help you examine your current process and help communicate all aspects of your core to the iLab implementation associate. After Go-Live, your core is ready to use. you will have an additional 6-weeks of implementation associate support as you transition through your first billing event. 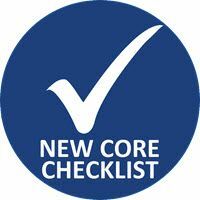 If you are interested in implementing your core in iLab, please follow the steps by selecting the checklist icon to the left.